Kristi Hines is a freelance blogger, ghostwriter, and social media enthusiast. Her blog Kikolani focuses on blog marketing for personal, professional, and business bloggers. Connect on Facebook and Google+! We’re totally on the same page here Kristi! Guest blogging is a great way of spreading the word about yourself, especially early on when you’re just trying out, but spammers have totally ruined it with lots of bad approaches and guest posts of no quality at all – I’ve actually removed my guest blogging page recently as well to minimize the approaches. I can completely related with this Kristi. 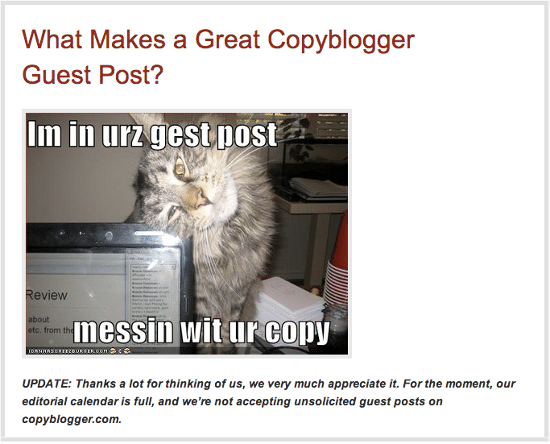 Guest blogging is such a great way but spammers are ruining it. As a result, Google will release another update and all the work of authority bloggers will suffer. Its pathetic. It is Chitraparna. 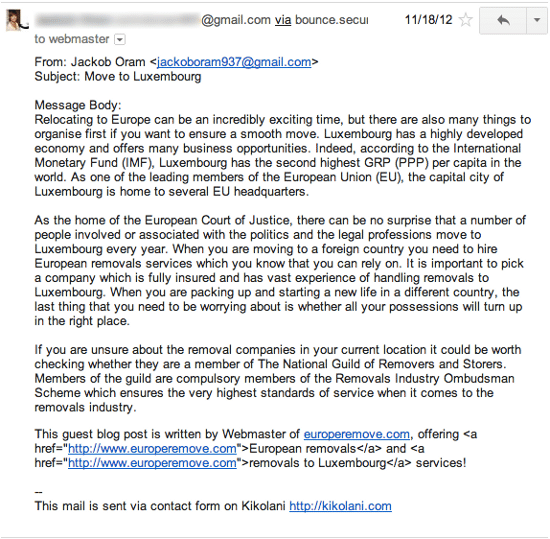 Spammers and bad marketers are the reason we have lost so much in the search world. From time to time I have received a few guest posts that are actually good. Most have not been, so they never got posted or were posted on some other blog I own. People will always be looking for sites where they can get a link–that’s a given, as long as Google continues to put an emphasis on links. Seems as though there is a lot of interest in Authorship nowadays, and perhaps the next big thing will be something like AuthorLinks.net, which caters to those who want link from verified Authors. If Google starts ranking content in order of author authority, it should motivate people to only publish content by established authors, ruling out the use of the fake personas marketing companies are abusing. 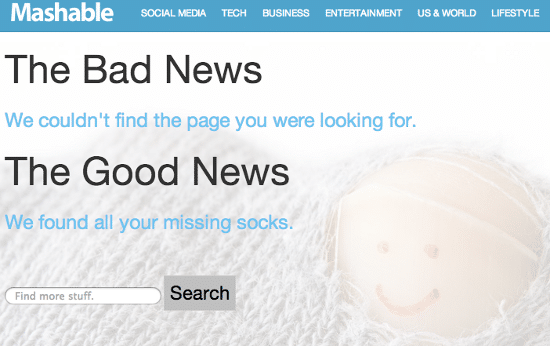 I was sad to see some sites I would have liked to blog for shut down for guest posting opportunities. However, I totally understood why. I saw the comments from readers, for instance, on ProBlogger saying they felt the quality of posts had gone down. That’s no good. 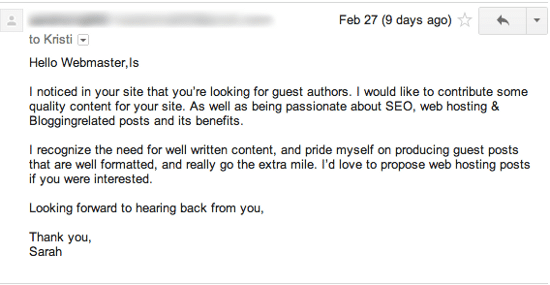 I get the same spammy requests for guest posts all the time as well. While I still allow submissions, I rarely take one. I typically ask experts I know to submit. And that’s also how I get my guest posting gigs…through the connections I’ve made. Thanks so much for the intel on how you created your portfolio page using the RSS Agregator plugin to publish your feeds into one page. I will be trying that out for sure! I did two blog tours this past year when my book, How to Blog a Book, was released. I’d have all those posts on a page on my blog, but I’d love to easily aggregate them the way you have on my other blogs. Great tip! Hi Nina, my name is Maxine Kennedy and I am new to the blogging community, but I love to talk. My web site is also new and I need help. I have followed several of your posts and I think you’ve got it going on with the blogging. I am asking that you review my site and send me some suggestions on how to improve it and how to get traffic started, also I would like for you to give me some tips on guest blogging and where I can begin to guest blog. Please help me. Whenever you get something that’s good–such as guest blogging, those who are doing it just because they can get a link back and they can increase their search engine rankings are going to ruin it for others. 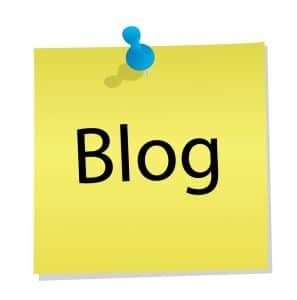 If you have a blog, then why not accept guest blog posts and just make it very clear that the links in guest posts are going to be nofollowed. And that you’ll delete any requests for guest posts that are off-topic. I don’t mind giving dofollow links to great bloggers who are contributing quality content. I created lots of guidelines for my guest bloggers – the ones that abuse the system don’t actually read them. One even mentioned removing links altogether if the author didn’t come by to respond to comments. That didn’t stop them. Truth is guest blogging has been bastardized and it needs to be properly monitored… this days it does more harm than good and if you cant efectively monitor each guest post i would say dont do it at all. I actually take a different approach to guest blogging. While I am currently updating my site, I let people know that I have one guest post option. I’ve created a series called Budget Travel Guides (I just published the 15th one in the series a couple of hours ago and have many more lined up to publish later) where people can submit a short travel guide based on specific criteria that I set for any destination they want. Rarely, I will accept a guest post on a unique topic but only from people I know. This gives me a chance to allow people to write a post on something I want that’s limited to an ongoing series that my site, my readers, and the guest blogger. Not only is this series growing in popularity, most of the travel guides are on the first page of Google for their keywords. So I think shutting down guest posting completely is not something you have to do. Just create a unique series, topic, or niche that you allow and say no to everything else. This can work very well even on sites like ProBlogger. You could have a specific blog topic and share the different experiences from many other bloggers through their guest posts while everything else is written in house. One other thing to note about the series – I have very specific and high standards for the guides. Some are better than others. Sure, it means I do have to spend time reading and reviewing but if it isn’t good enough, I ask them to edit or say no thanks. I am totally on the same page with you on this, Krist. Hi Kristi, Awesome post and presentation. There’s been a lot of talk about this and even some rumors spreading about Google penalizing sites with low authority guest authors. My secret weapon for vetting guest bloggers is SpeakPipe. I removed my contact form and installed the SpeakPipe widget which means people need to leave me a voice mail in order to request a guest posting spot. This dramatically reduced the amount of requests I was getting from low quality content providers. Have you ever tried SpeakPipe Kristi? They have a WordPress plugin now too. This is an excellent post Kristi. I have been hosting a guest blog series on my website about mothering and creativity and have had a pretty steady flow of really good content. I invite people directly. I guess since my reach is pretty small so far, I have not had any problem with people offering posts that I don’t know. What I do get it people interested in me posting about their products. I think this may be because I veer close to the mommy blogger category and that market is so much about products. I have one blog where I accept guest posts and will probably continue doing so. It’s in a specific niche and I have a guest posting policy where I’ve put something in that tells me whether someone has actually read it or not, and if they haven’t I just delete the email before I even download it to my computer. I do check every submission to see if it’s been copied and for quality of some type, and I also vete (you know, I’m a good speller but have never known exactly how to spell that word) every link before I approve it; some I don’t approve, some I tell them that they’ll have to pay for the post to be added and they go elsewhere. The way I see it, one accepts guest posts if it benefits them, not anyone else. If you’re looking for a benefit then you ask someone to write a guest post for you, something I’ve done 14 or 15 times over 5 years. As Matt Cutts said, that’s where you get the biggest benefit. But in the video he didn’t necessarily say Google doesn’t like guest posting; he just said that if the posts are weak or look like they’ve been copied or spun that they probably wouldn’t count the link. As one of your other commenters stated, as long as Google values links the way they do it’s always going to be a major strategy for some people. i really don’t know whom to blame for this situations, i.e. spammers who spammed all the way through to make their website popular or webmasters or blog owner who accept the guest post blindly and publish them. i think it is not the problem created solely by spammers but the webmasters and blog owners are equally responsible for all this crap. It’s probably everyone’s fault. Especially the blog networks that cropped up and were built to accept posts for links. I’m surprised that it has taken this long for Google to speak out on this practice, especially in light of both the Panda and Penguin updates. But, even more importantly, because of the rise in their efforts to sweeten the deal to get folks to use AuthorRank. Multi-author sites have to jump through all kinds of hoops to get authorship markup to work properly. Heck, there are 14 connections just to get it fully functional on your own site where you are the primary author and to properly close all of the loopholes. There are several blogs that I stopped following because way too much of the content was being farmed out to guest writers. On top of that, some folks who are big now, who got a break on a big site with their guest post a couple of years ago, have said that there is a point of diminishing returns on the practice. I’m all in favor of discovering new bloggers by being introduced to them via a site that I enjoy and a blogger I already trust. But too much is too much and actually hurts the reputation of that site owner. I get asked to write guest posts all the time for the reverse reason. Folks with smaller sites want to bring my audience to their site. I turn down most of those requests because it’s simply not a good fit. Sort of the reverse of the bad pitch. One I received recently gave the reason for asking me to write as being that she didn’t have time to do it herself. That should be a huge red flag to the quality of the site when the owner doesn’t have time to talk to her own audience. So, I’ m delighted to see the return of site owners writing more of their own posts and cutting down on the noise of filler posts. I feel like guest blogging didn’t get really bad until last year. Then, instead of just one bad apple out of many, it became hunt for the one good apple in the bad ones. I’m enjoying taking my blog back over again. I’ll probably invite people I know to guest post from time to time in the future, but that will be about it. Hey nice blog post It’s very useful kip it up buddy! These are very good points Kristi. I am both a freelance guest blogger and a blogger so I can say what things are like on both ends. As a guest blogger, I got irritated when low quality sites I wanted to publish guest posts on wanted me to pay for the privilege after I spent so much time writing the content. However, I have now come to see how frustrating it can be on the other end too. I have received a number of submissions to one of my other sites that were just terrible. They weren’t written in coherent English and most of them were just the most basic types of posts you can get. I probably received a dozen article submissions on “Why You Need SEO for Your Website” or “Best Marketing Practices of 2013.” Ugh! What is worse is the sense of entitlement that many of them have. So many would say “send me an email with a live link as soon as you post it.” Another writer wrote to me in broken English four times over the course of a week harrassing me to publish his post even saying that he couldn’t hold onto the article for so many days. When I actually read it I had no idea what it said. My message to other guest bloggers is this. I had to work very hard and invest a lot of time to write articles that was worth getting published in sites like Problogger and Forbes. I had to revisions on occassion because good sites require excellent content. Don’t take the lazy approach and don’t feel that a blogger owes you something. We have worked hard to build our blogs up and we don’t owe you the opportunity to publish something on our site. I fully endorse Kristi’s opinion on Guest posting. Because of a few spammers the genuine ones suffer. Just to add my 2 cents; I get 3-5 guest post inquiries a day on my blog and most of them are crap — off target, haven’t read guidelines, poor writing — the whole kitchen sink of what “NOT” to do as a guest poster. However, in spite of this, I haven’t shut down my guest posting opportunity page because it’s those gems you do get that make it worthwhile. I just look at it as part and parcel of operating a blog. Most of the time when I fall in love with a blog it’s because of the first-hand experience/advice of the blog OWNER. While guest contributors are nice, I still want this type of connection to the blog creator because I’m usually looking to learn and up my game. It’s like having a substitute teacher — while it’s nice for a day, the “regular” teacher is the one who’s really plugged in and knows her students and what they want and need. One of the things readers of my blogs have consistently told me over and again is that they like my advice, how I tell the good, bad and ugly of freelancing — from my own experiences. Of course, it’s because I write almost all of the content for my blogs. Hence, blogging is not something I fit in “when I have time;” it’s part and parcel of running my online business. 1. Many submissions have flawed grammatical usage. 3. Many submissions are re-written copies of titles with 1000s of previous posts. 4. There are also quite a few genuine writers who are just starting out in the blogosphere and are looking for exposure. 5. I’m having the time of my life having so many new articles delivered to my inbox! Given the fact that Google Traffic to several blogs is in the doldrums right now, I think creating a network of genuine guest bloggers and cross-promoters is a great idea. We furnish qualified data and expert consultation on essential parts of government approach drives for improvement through the accompanying instruments, to help conglomerations and NGO’s included in different improvement exercises and fortify the undertakings. We give benefits in the accompanying fields:ngo, Trust, Firm, Society, Cooperative Society, Company,Ventures and so forth. Truth is guest blogging has been bastardized and it needs to be properly monitored… this days it does more harm than good and if you cant effectively monitor each guest post i would say dont do it at all.